Demystifying Usability : How Usable is Jakob Nielsen? Jakob Nielsen has become a hot item over the last five years with regard to website usability. Jakob Nielsen has a computer science PhD and is Danish by origin. See his bio for more... The Danish part is significant I think, because some of his prophesies get lost in translation. "In the future, first of all, websites will be designed by my guidelines ... for the simple reason that if they don't, they are dead." - Jakob Nielsen. Some colleagues of mine at a former company said "Look at that, Nielsen says if you don't do what he says you're dead [meat] (American slang for a threat)". If you re-read the quote, I believe the implication Nielsen was making was "you will disappear- become extinct" not "if you don't listen to me you are toast". So what's the problem with Jakob Nielsen? Jakob Nielsen is still very popular outside the usability community. Amongst his colleagues however, his popularity has been eroding steadily. Why? There are a couple of reasons for this. 1) Guru role. Nielsen plays up the guru role and gloats in the press coverage of being called a "king" a "guru" and "almost as big as Elvis". Gurus seem to fall into two categories: the silent and humble type or the boisterous and arrogant type. Nielsen has been perceived by many as falling into the later category. However, I think the real gurus are his public relations firm, the Antenna Group, who are responsible for his glamorous international media coverage. 2) Professional ethics. A few years ago (circa 2000), Nielsen posted on his home page that his fees were roughly $35,000 for a half day high level strategy consulting session. This is where the credibility started to erode for me. If anybody thought usability was expensive, Nielsen certainly contributed to that perception (despite his current claims that usability is cheap: "Usability for $200" and "ROI for Usability"). Around the same time, Nielsen failed to disclose his personal conflicts of interest in several articles. Before 2000, he always disclosed where he had a conflict of interest (i.e. serving on the Board of Directors) with regard to pitching a vendor product or service in his column. For example, he wrote an article advocating use of Google Adwords and didn't mention he was on the Technical Advisory Board. After doing that several times and being criticized by his peers, he came clean and apologized for not disclosing his conflicts of interest. 3) Useit.com. Nielsen's personal website defiantly retains its 1997 look and feel. Nielsen's justification for his site seems ridiculous (he says he is "not a visual designer and didn't want to spend money to hire an artist"). Reading between the lines, like many usability engineers, Nielsen does not seem to personally value aesthetics and that shows in his work. His site is also full of double-standards. A check of dead links on his site with the free tool he recommends (Xenu) in his article "Fighting Linkrot" produced approximately 458 dead links (including images, links, spacers and outgoing links). One of the things I have noticed about people who take Nielsen's teachings at face value is that they end up communicating like him. The blaming, critical and self-righteous tones that characterize Nielsen's articles and interviews are not to be confused with how a professional usability consultant ought to communicate. Of the hundreds of people I have trained in the past few years, I have noticed the "Critical Jakob" in their findings. The danger is that armed with Jakob's influence, we can assume that we have a hammer large enough to break anything. A reader comment to Jakob's partner Tog a few years ago raised this issue. Tog's response was that this communication style was for marketing purposes only and that it was not the way he and his colleagues speak to their clients. It's rich to criticize something as if no other dependencies exist. Even better to pretend like you have all the answers and that no humans (with feelings) were ever involved in the design. By taking the National Enquirer (a supermarket tabloid newspaper) approach to communication, Nielsen is doing a disservice to the usability practitioner community by not imparting best practices in communicating usability insights. Is it asking too much to have usable communication? * "Flash is 99% bad"
While the tabloid marketing approach might get read attention, it also produces its share of criticism. 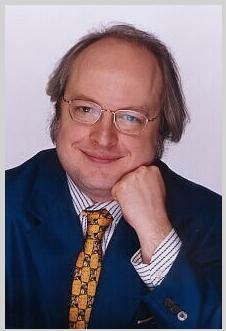 There have been many attacks on Jakob Nielsen, some of them humorous, hysterical and some more serious. Why wouldn’t the King of Usability want to tackle the greatest challenge of them all: Designing a beautiful AND usable Web site? Isn’t that what all Web professionals should strive to do? Why does there have to be a barbed-wire fence between designing a usable site and designing a graphically pleasing site? There doesn’t, and to Mr. Nielsen’s credit, he doesn’t believe there has to be, either, even though his Web site shows me otherwise. So what’s the hold up, Jakob? 2004 is upon us. Perhaps you have a Web site redesign in the works. Or maybe you’re finally going to build that company intranet you’ve been dreaming of. Are you going to spend the money for a good designer and usability person, or go the way of Jakob Nielson and forgo the design part? Obviously, your budget may have something to say about spending extra money on a designer, but don’t worry about it. 2. Example from Usability News, George Olsen "Response: The Backlash against Jakob Nielsen and What it Teaches Us"
Nielsen has had a bad habit of presenting personal opinions as research fact. The latest example is his rather bizarre claim 90% of (his proprietary and not-disclosed) usability guidelines will likely be achieved by 2017 (see Improving Usability Guideline Compliance). A personal thorn in my side his been his insistence that blue is - and will forever be - the only appropriate colour for links. Now I have a background in graphic design and I know numerous ways to make clear something's a link. No, I don't have academic research to prove this, but I've got many a successful site. But yet, I still have to deal with business decision-makers who believe Nielsen has "proved" this point. 3. Example from Clay Shirky's "An Open Letter to Jakob Nielsen"
"...the main problem lies in getting Web sites to actually obey any usability rules." but you never address who you are proposing to put in the driver's seat - "it will be necessary" for whom? "[T]he main problem" is a problem for whom? Not for me - I am relieved that there is no authority who can make web site designers "obey" anything other httpd header validity. Nielsen's famous "heuristics" (guidelines for web usability) are another area that shows that his popularity is more public relations than credit of invention. For instance, few people realize that Nielsen co-authored the original publication on heuristics with Danish colleauge Ralph Molich and then later with Robert Mack and others. Yet you rarely hear usability folks saying "Nielsen-Molich heuristics", it's "Jakob Nielsen's heuristics". Contributions to developments in the field are compromised if practitioners must tip-toe around the shadow of what Jakob Nielsen said. For example, Nielsen is very vocal about 3D and virtual reality interfaces. He claims that evolution did not intend humans to navigate in 3D space. Since I did my masters research in the usability of virtual environments, it appears to me that Nielsen has never looked at any of the research in 3D usability that has come out of British universities or the Human Interface Technology lab at the University of Washington, for example. What we need is a reform of how usability is "trickled down" to the masses. As awareness grows to commercial bias or self-serving interests in usability research, we will see a greater emergence of independent research-based usability guidelines such as these from the National Insitute of Health. Follow up: Read Jakob's Ladder for a very comprehensive profile of Jakob Nielsen. The good thing that Nielsen has done, as some have already mentioned, is increase the importance of usability in the design of UI. However, as designers, it's obvious that we must take everything with a pinch of salt. What was applicable in 1994 is not necessarily applicable now. Nielsen's ego was good for us designers till the time companies started noticing us. Beyond that, we are recognised as puppets. The most ideal way is to recognise users across cultures (Nielsen hardly concentrated on cross-cultural usability, did he?) and do a thorough user research. Derive your own heuristics first that would guide the rest of your design. Hence, overall I credit Nielsen for streamlining the whole usability thing, however, from your post and his views I do feel he is a little misunderstood. People should stop complaining about Jakob because without him the field of web usability would not even exist. Personally I think a web usability expert can be easily replaced with common sense - however in reality most people don't have common sense so it doesn't work out that way. My rate: 7 times the daily rate Sir Nielsen is asking. "For example, Nielsen is very vocal about 3D and virtual reality interfaces. He claims that evolution did not intend humans to navigate in 3D space. Since I did my masters research in the usability of virtual environments, "
That's hillarious for more than just the reason you point out re: what other interfaces are being developed. Look at the statement itself! Humans aren't intended to navigate in 3D space? Wow, has this guy never looked up from his computer screen? THE WORLD IS 3D SPACE. Hi, thank you for that article :-) I'm writing a thesis about ergonomics and web writing, and I'm obviously mentionning Nielsen's theories, but I would like to talk about his detractors, do you know any famous names (as famous as Nielsen himself) who have a different point of view from his about web writing? I consider Jakob Nielsen both good and bad. Good for his views on Flash and readability, bad for his views on design. Is it really that difficult to change the disgusting cyan colour on his website to a more harmonizing colour? Where are the arguements for the use of such colour schemes? With regard to "personal attacks", that over-simplifies the analysis and issues raised. Jakob Nielsen has an unhealthy monopoly on Usability Consciousness, says Frank Spillers in his blog, Demystifying Usability. He looks at the history of this rise to power, linking to a range of critiques that have been published over the last few years. Is it just sniping to criticise Nielsen in public? Possibly an element of envy informs some attacks on the man, but it is his stranglehold on usability: what the field means, what it should offer and how it should be done, that drives most commentators to challenge him. Spillers comes into this latter group, assessing the impact of one dominant voice. While I don’t hold Jakob Nielsen up to Guru status, I do find his comments accurate and thought provoking. In the realm of web design and usability, I believe it’s important to survey the entire industry, not a single person. Thus, we should all be reading as much as we can from several different sources in order to balance out our own views of current trends in web design and usability. It seems that this particular article was mostly a personal attack on Jakob-that he had conflicts of interest, that he doesn’t care about graphic design, that he has a bad writing style, etc. These personal attacks, while they may be true, don’t affect the content of his articles. I still think he has good things to say, though I would not base my entire opinion on usability on one person’s views, be it Jakob or Jared or Edward (Tufte) or Ben (Schneiderman)… (I could list several more here). As for the argument of visual design, I completely agree. Jakob is entirely focused on usability-does the site work? If the answer is yes, then you’ve met his goal. However, there can be a marriage between graphic design and usability; form and function. I believe that as technical communicators, as web developers, as content owners, as graphic designers that is our job. An interesting side note on the use of blue for links: Anatomy has shown that blue is the worst color to use because there are actually no blue cones in the fovea of the eye. This means that we can only perceive the color blue indirectly. When we focus on something, we use the fovea of the eye. The fovea allows us to focus on something about the size of a thumbnail held at arm’s length. We can only see blue using our peripheral vision, that is, outside of the fovea because we literally have NO blue receptors (cones) in the fovea. Jakob should not have a “Monopoly on Usability Consciousness.” That doesn’t mean we don’t listen to what he says, it just means that we apply it with a grain of salt. Having met Jacob on several occasions and having the chance to talk to him I think you are correct in your assessment of the "dualism" of Jakob Nielson. I was amazed in my first meeting at his willingness to stop and talk with someone whom he had never met before. We talked about usability testing and he brought up some very good points when I shared some of my hesitations to his theories. In subsequent meetings, he was always as approachable as he was the first meeting, and just as entertaining and insightful. I thoroughly enjoyed the time I was able to talk with him and I always felt as though I had come away with a much better understanding of usability, and him as well. Jacob is a pioneer in the field, an antagonistic pioneer, yes. But isn’t that what marks any movement striving for validation? The hippie movement in the 60’s provided us with some very colorful characters that did nothing else but agitate the establishment. Sometimes, it is one of the ways that to get the attention of ‘old school’ marketers and shake them into modern consciousness. I find Nielsen very limited and narrow in his focus. Like an earlier post here, I agree he brought usability to the foreground. But his arrogant and smug attitude has turned off a lot of people who should listen to what he has to say in terms of the nuts & bolts of usability. Nielsen seriously needs to get over himself and wake up to the new millenium. Ecommerce websites are only a part of what is being developed using web technologies these days. He rarely devotes any type of research to web-based applications and the usability challenges they present to software development teams and end-users. Probably because most software development companies are so turned off they will never submit their products to his review. It's OK to criticize, but do it constructively and with tact. Plus, the web is not the only software medium, although it is the most visible. A spoonful of sugar and a good dose of humility goes a long way, and Nielsen could use both. Jakob Nielson's a loser. His site's terrible looking! He should just admit he's a loser with a terrible site and leave us all alone. The day we need this relic telling us how to make web pages is the day we need to breathe sand. "Useless" doesn't even begin to describe Jacob. Your link ´humorous´ http://www.rc3.org/clips/nielsen_drinking_game.html does not work. I absolutely agree with you on this. But I think that Jakob Nielsen is what the world needed that time. He is a pop figure. Thanks to him the world looks at usability with more attention now. Without being emotional and arrogant he wouldn't be as attractive to masses as he is. He fulfilled his role - attracted everybody’s attention to usability. Being diplomatic and scientifically accurate wouldn't do the job. He is a great man, but we as professionals should know better than blindly listening to him and should continue the work he started and be grateful for the attention we have thanks to him. S. Peirce would have to say on the matter if he were alive today. The only reason Nielson has been granted such celebrity status is because of the lack of an opposing voice. Nielson had some good points, and he had some fatal misses; and a lot of it I believe is peppered with his own sense of self-importance. Unfortunately, there have been few raised voices - or at least voices loud enough - to point any of this out. The general public, consumers, and business professionals have no clue as to what is "good" design/usability - that's why they hire out to agencies, and trust that they know what they're doing. So when they get wind of some a celebrity expert - suddenly everyone wants to join the band wagon and forget common sense. Designers need to step up and speak up. What Neilson says is not law, people need to understand that. Usability, like technology, changes. Some fundamentals stay the same, while others evolve - becoming more complex or simplified. Nielson's concepts and general principles still hold some feasibility – some are quite common sense – but like all things bandwagon: use/administer/consume with digression. in certain parts,a very entertaining piece of writing.Did enjoy reading it. My personal favorite is his Flash 99% bad article. Shortly after writing it, he joined Macromedia as a consultant. About a week after joining, another article was released titled "Flash 99% good. So, did he revamp the tool and entire population in a week? Personally, Im a big fan of flash's potential, and I've seen and used some of the releases since the 99% good article was released - and although the tool is somewhat enhanced, it's in no way 100% better. Building usable flash sites is partially up to the developer. Having Neilson on the board, might result in a 5% increase - but a 100% improvement is nothing more than food for his ego! I CONSIDER THIS A PLATFORM TO JUMP OFF FROM, A VIRTUAL SET OF GUIDELINES THAT WE CAN MOVE AROUND AND MOVE AWAY FROM RAPIDLY. THIS MANS COMMENTS CLAERLY MARK ALINE. SOMETHING LIKE AN ARCHIAC STARTING LINE DRAGGED WITH A BIGSTICK THROUGH THE MUD. If you stop believing in him he will go away. Wow, this comments list is looking awfully familiar. Damn HIPIS. The problem isn't as much as Jakob himself, but the community that allows, even encourages, such behavior. You didn't mention Spaking Jakob Nielsen. You didn't mention "The Day Alertbox Died" on my site!